A silent auction will be held during the conference, with all proceeds to be split between the International Association of Women Police Foundation (IAWPF) and the Alaska Network on Domestic Violence and Sexual Assault (ANDVSA). Both entities are 501(c)(3) nonprofit organizations. If you would like to donate an item, please email auction@womenpoliceofalaska.org. IAWP Foundation (IAWPF) focuses on a worldwide mission in support of women in law enforcement. The Foundation activities include educating and enlightening the public about women in law enforcement or in police-related activities, promoting training and education for women police, and recognizing achievement among women in law enforcement. 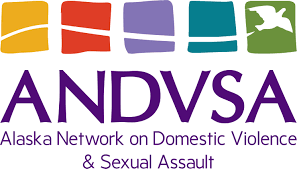 The Alaska Network on Domestic Violence and Sexual Assault (ANDVSA) promotes and sustains a collective movement to end violence and oppression through social change. The network provides technical assistance to membership organizations through advocacy, prevention, and legal projects. Its policy work strives to ensure that local, state, and national policies protect and serve survivors and their families.